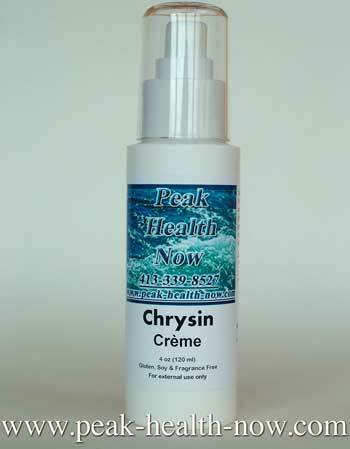 Chrysin Cream: Buy the purest, freshest, most potent for highly effective transdermal application. 4 oz pump bottle: 100 mgs pure Passiflora Incarnata Extract per 8 pumps. DIRECTIONS FOR USE: 8 pumps 1 - 3 x per day massaged into upper chest, inner arms, inner thighs and back of knees. Chrysin Cream is also wonderful as a facial skin conditioner.